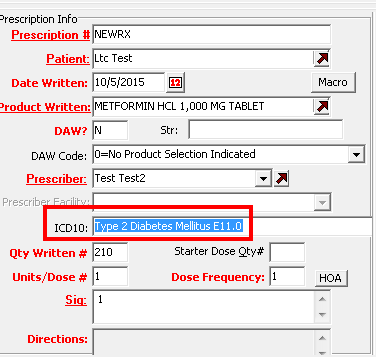 For those covered by the Health Insurance Portability Accountability Act (HIPAA), the transition to ICD-10 has begun. 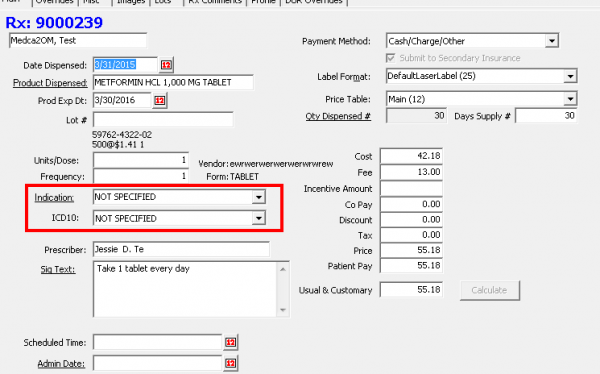 Here are a couple of tips to help your pharmacy with the change. 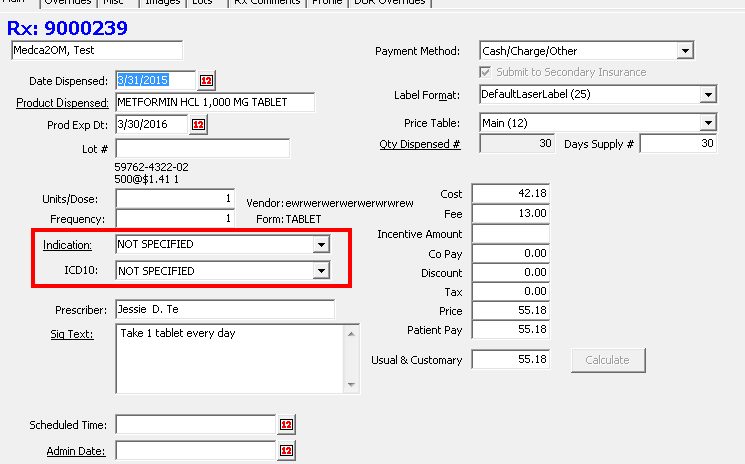 If the ICD-10 dropdown is empty, the user can type the ICD-10 code directly in the text box on the ICD-10 dropdown, and it will be sent through to the insurance. 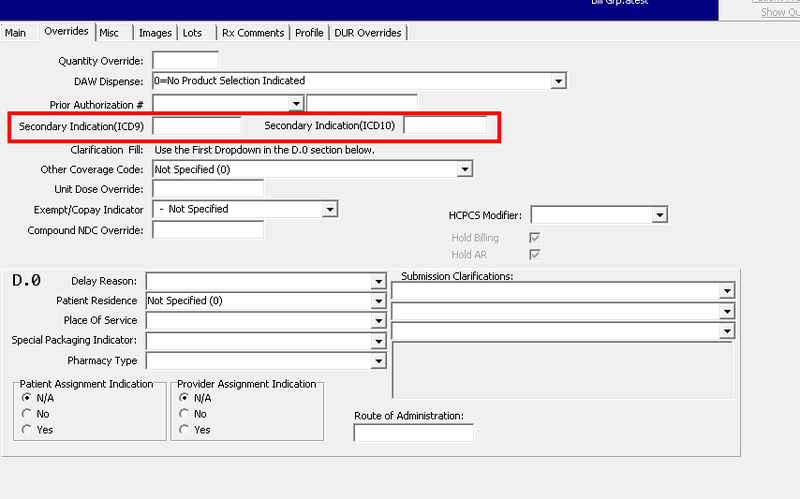 You can get the correct ICD-10 to send to third parties in the Edit Dispense module by setting the ICD-10 drop down to NOT SPECIFIED, and then entering the ICD-10 in the Secondary ICD-10 field on the Overrides tab.